Everyone knows someone who is fanatical about gin. We have the perfect gift just for them! 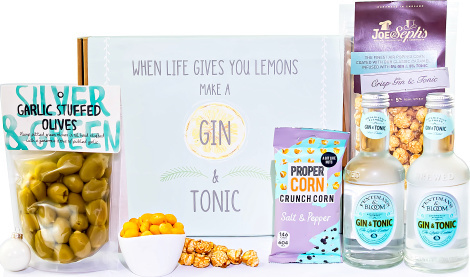 Beautifully presented in a gin presentation box we have 2 bottles of Gin with Tonic, the gift would not be complete without a tasty snack to enjoy with this fine beverage.